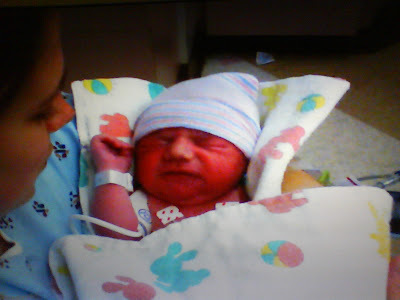 Baby's Journey Home: Happy Birthday!! Today we celebrated Baby Todd's first birthday! **Please leave a note on the blog telling us where you found this balloon! 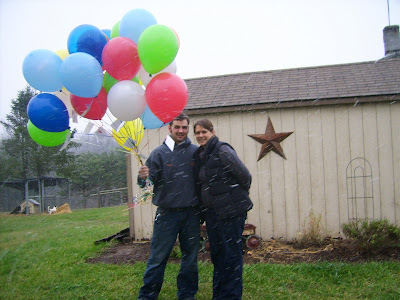 We released 24 balloons in memory of Baby Todd. One balloon to represent every day we were blessed to spend with him. After we released the balloons, we headed for Delaware. The closer we got to Wilmington, the more painful it was. However, something changed when we stepped into the RMH. That peace we experienced a year ago, came back. It was such a HUGE blessing and joy to be able to give back, and potentially impact the life of another child. We were able to deliver over 100 toys and games to the Ronald McDonald House!! Thanks to those who helped make that possible! 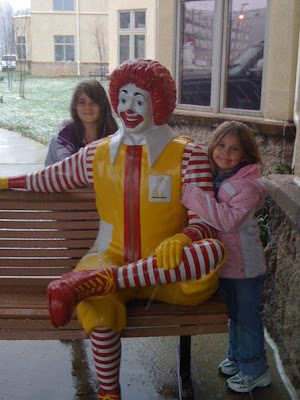 **The girls outside the Ronald McDonald House, after delivering the toys! During our visit, the girls were able to see the RMH "Santa's Workshop". They were very excited to be giving Christmas to another sick child! How better to show them the true meaning of Christmas! As we were pulling out of the parking lot to head home, the girls thanked us for giving them "the best Christmas EVER!". Again, thank you so very much for all your prayers and support over the past year & a half. Thanks for sharing yet again. It sounds like a great birthday celebration. Baby Todd is such a blessing - and so are you! I thought of you and prayed for you over the weekend. Glad to hear you had a blessed weekend while being a blessing to others. What an awesome testimony from all of you, the girls included. I can't imagine the emotions that you went through. I know what just went through me just reading your post. God is blessing you daily. It's so neat to see you going back and helping others who are in a similar situation as yours. It has to be an encouragement to them as well as it is to me. 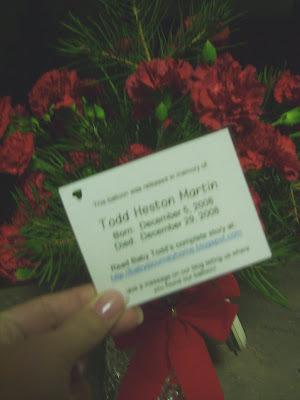 Baby Todd's testimony lives on through you and what you're doing in his memory. I pray you have a very blessed Christmas! Found a balloon in our wood line today with baby Todd’s tag on it. Burkett Road Greencastle PA. The balloon was still almost completely inflated. Im curious where the 24 were relesed from and how far he made it around? thank you somuch for sharing your journey. i too had a baby that went tovisit Jesus. unfortunately the hospital, without my consent, donated his body to the medical students. 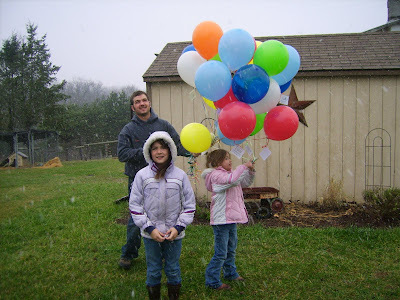 Shane: The balloons were released on December 5th, from Jack Road near St. Thomas. The weather wasn't the greatest to release balloons, so I'm guessing not too many of them made it far. Thanks for responding! !